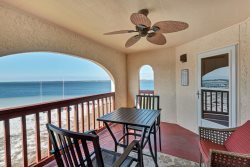 Enjoy your vacation on Navarre Beach in one of our Belle Mer vacation condos. The gulf front 3 and 4 bedroom condominiums include private balconies, swimming pool and hot tub access, and a fitness center. Check our available vacation rentals in Belle Mer Navarre Beach below.